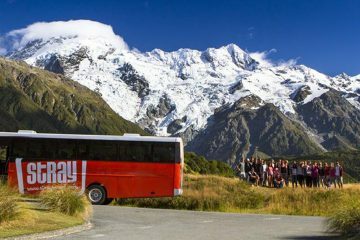 If you’re trying to experience the best of what New Zealand has to offer and cover as much of this amazing country as you can then the Maximus Pass with Stray New Zealand is for you! 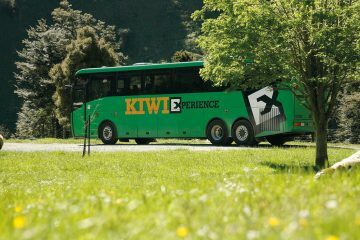 In fact it’s the most extensive travel pass on offer for New Zealand! 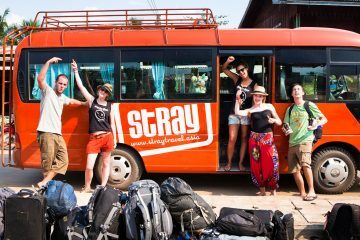 With a minimum travel time of 26 days and a maximum travel time of 12 months you can tailor it to suit your own time scale and travel plans. Accommodation: Hostel along from the beach. Optional paid activities: Catch the ferry across to historic Russell (New Zealand’s former capital), skydiving, Hole in the Rock, diving. Free activities: Snorkeling at Goat Island (summer only), tree hugging huge kauri trees at Parry Kauri Forest (wet weather/winter option). Accommodation: Hostel along the beach in Paihia. Optional paid activities: Traditional Kiwi fish and chips option for dinner! Optional paid activities: Sailing, swimming with dolphins, kayaking, fishing. Free activities: Walk around Paihia or Haruru Falls; go for a swim or relax on the beach. 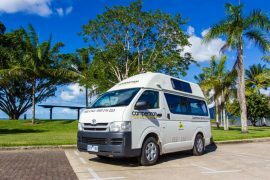 Accommodation: An eco-lodge surrounded by native bush near the beach. Free activities: Walk to the waterfall, bush walk around Mt Karioi, relax on the beach, glow-worms in the bush, West Coast sunset, Inspiration Point. Accommodation: Unique Stray stay in the Wharenui (Maori meeting house). Optional paid activities: Waitomo must-do caving options: Haggas Honking Holes, Lost World, Tumu Tumu TOObing, or a glow-worm tour. Free activities: Walk around Ruakuri Reserve, Waitomo Valley Caves walk. 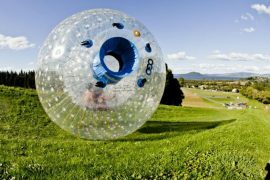 Optional paid activities: Rotorua: rafting, zorbing, Agroventures, visit Hobbiton. Lake Aniwhenua: traditional fishing, eeling, weaving lessons, cooking classes and kayaking. 1 activity costs $10, activities $15 and 3 activities $20. Free activities: Kuirau Park Rotorua, relax by Lake Aniwhenua, walks. 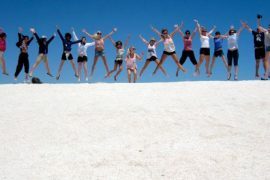 Optional paid activities: Skydiving, bungy, river jet Taupo. Optional paid activities: Cray fishing or boat fishing. Free activities: Swimming, Kayaking, snorkelling. Free activities: Walk ‘Oriental Parade’, head up Mt Victoria for fantastic views, and visit ‘Te Papa’ – our national museum, gumboot (welly) throwing. Free activities: Walk, mussel tasting around the fire, star-gazing. Optional paid activities: Full day sailing trip, kayaking, skydiving, water taxi, hang gliding, stand-up paddle boarding, canyoning. 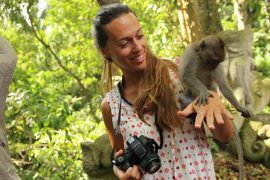 Free activities: Walk in the national park, relax on one of the golden sand beaches, go for a swim! Optional paid activities: Surfing, horse riding, jet boating, caving. Optional paid activities: Bone carving and jade carving. Free activities: Punakaiki pancake rocks and the mighty blowholes; walk along the beach. Free activities: Mirror Lake walk; Ship Creek walk, Blue Pools walk, Thundercreek Falls walk, explore Wanaka. Optional paid activities: Puzzle World, skydiving, bungy jumping, pilot your own stunt plane or learn to fly and take a friend for free. Free activities: Sleep in, great walks; take in beautiful views from this cool resort town. Accommodation: Historic camp on the edge of the Hollyford Track in the heart of Fiordland National Park. Optional paid activities: Milford Sound Cruise. Free activities: Stunning views, Humbolt Falls walk, visit the historic museum or take in the incredible surroundings of a World Heritage National Park at Gunn’s Camp, Chasm walk. 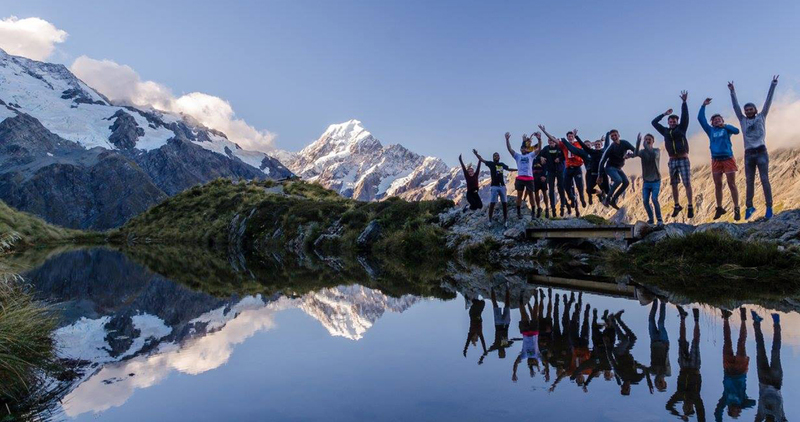 Optional paid activities: Ata Whenua – Shadowland, incredible movie of Fiordland National Park, Te Anau Wildlife Centre. Free activities: Humbolt Falls Walk, Viewing Gantry walk. Optional paid activities: Stewart Island: fishing, hire a scooter, go to Ulva Island. 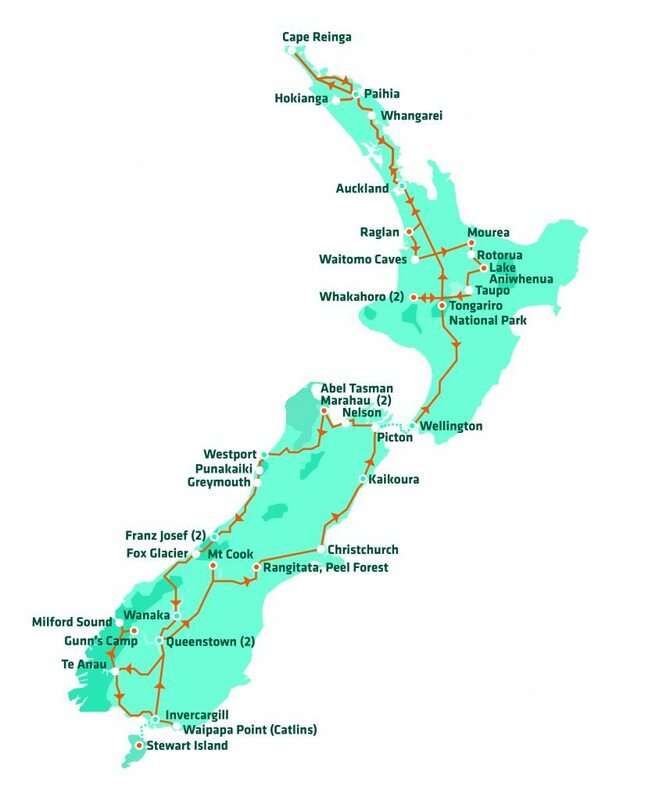 Free activities: Explore the island, amazing birdlife, walks through the native parkland (Stewart Island); visit the start/end point for State Highway 1, sea-lion, penguin, dolphin spotting, find Burt Munro’s World’s Fastest Indian, Bluff Hill walk, visit Henry the 100 year old Tuatara (Invercargill). *Winter only: We stop longer at Lake Tekapo for ice-skating, snow tubing or a swim in the hot springs. Accommodation: One of Canterbury’s original sheep stations. Optional paid activities: Walk through Peel Forest, Rangitata River Rafting (late September – late March only). Free activities: Take photos of stunning scenery, go for a walk. Optional paid activities: Whale watching, swimming with dolphins (pre-booking is advised in summer for dolphin swimming). Go fishing and eat your spoils or try the amazing fresh fish and chips! Free activities: Seal colony, explore Wellington city, go fishing/mountain biking in Picton. Beautiful Bay of Islands with free snorkelling and glass bottom boat trip (summer-only) en route to Paihia. Stay at award-winning conservation stop Blue Duck Station, Whakahoro for wild, wilderness activities! Wellington – NZ’s capital city, home to our national museum Te Papa and a cool cafe culture. Overnight stop and a free day in stunning Abel Tasman National Park (walks, sailing and kayaking options). The stunning fiord of Milford Sound and historic Gunn’s Camp. Stewart Island’s natural untouched beauty and wildlife or the Catlins wilderness area for sealions and remote scenery.